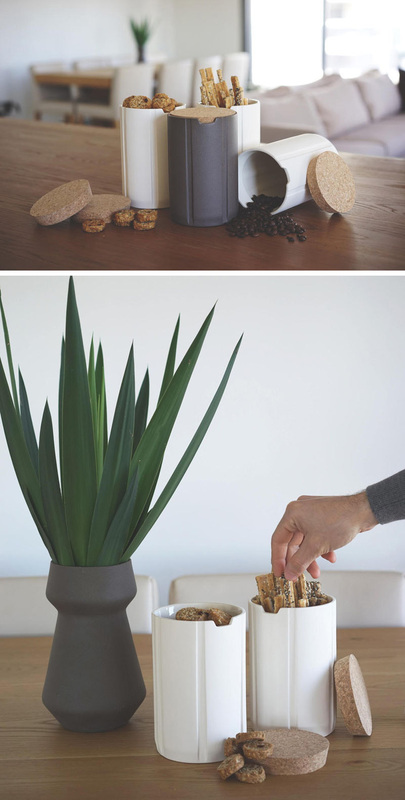 Tired of using old peanut butter containers and mason jars to store your snacks, grains, and spices? For some inspiration, take a look at these 13 modern jars and canisters that will spruce up your pantry or countertop instantly. 1. 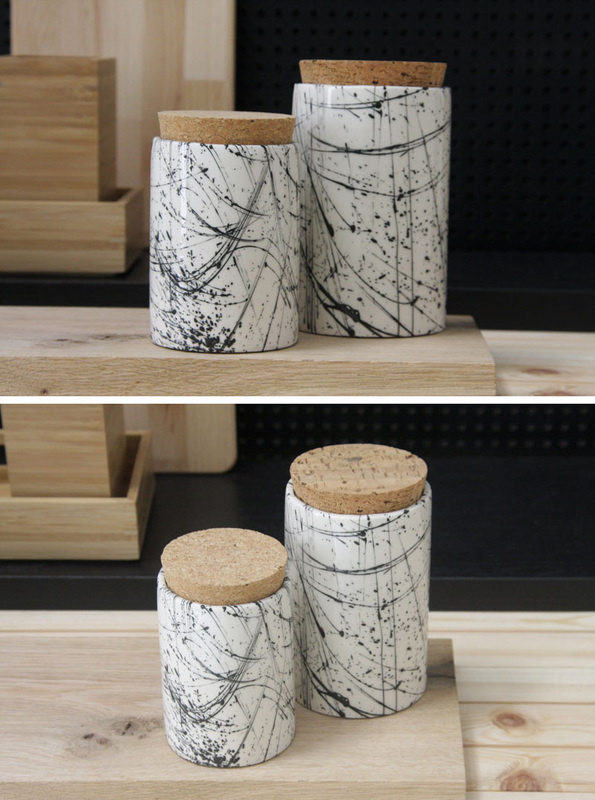 Minimalist in design, these white and grey modern canisters are perfect for storage in the kitchen. A glazed ceramic interior with a cork lid ensures your goodies stay crisp. 2. These white and black line pattern ceramic jars have been painted separately, then glazed with a glossy finish, making them stand out on the counter. 3. 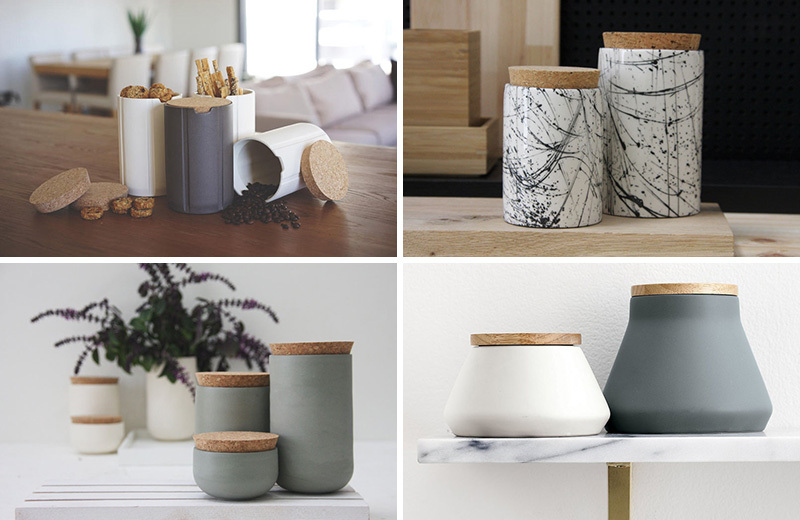 With wood lids that have leather tabs, these white stoneware canisters have individual textured patterns, making you want to reach out and grab them. 4. 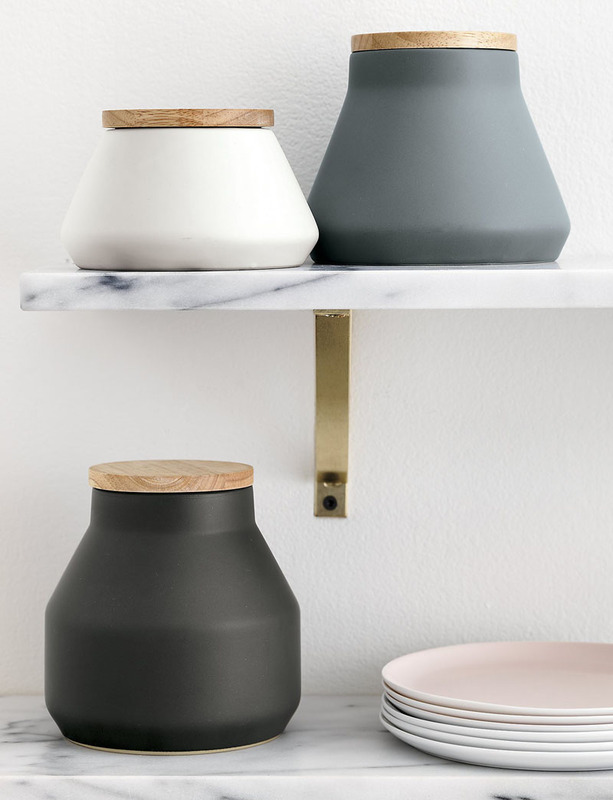 These matte glazed canisters are sleek in design, and practical in the kitchen. A bamboo lid with a silicone gasket ensures that the contents inside stay fresh. 5. Whether for flour, sugar, or spices this grey ceramic set has three differently sized jars to store your goods. 6. 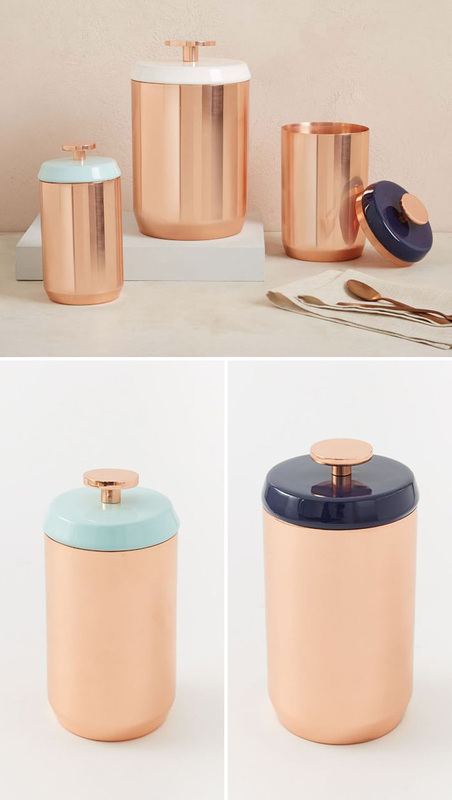 With the ability to jazz up any kitchen, these modern copper canisters have different colored enamel lids with easy to use knobs. 7. 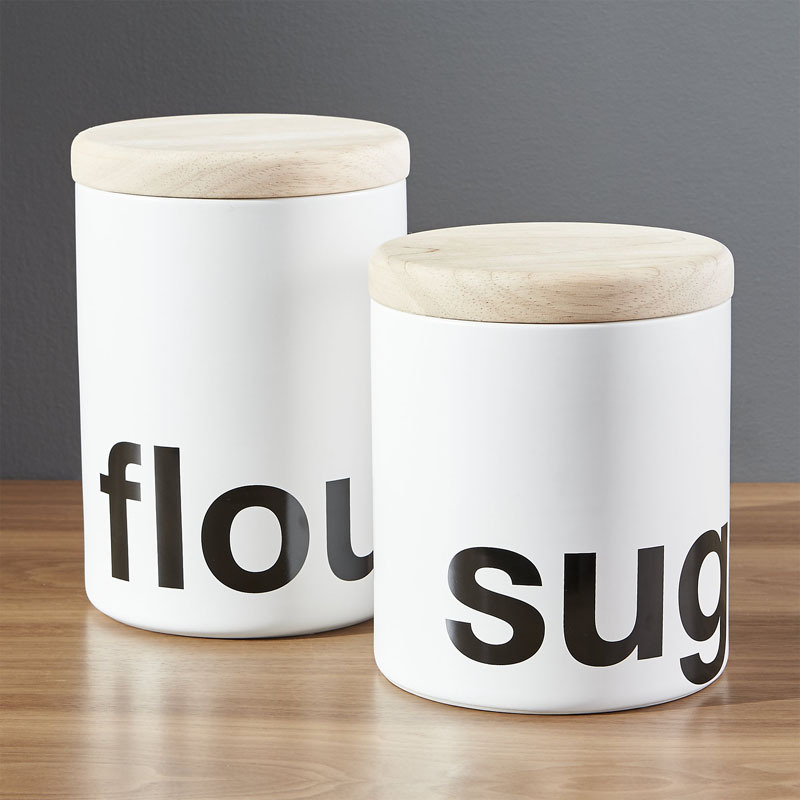 It won’t be hard to figure out what’s inside these white stoneware canisters thanks to the bold black text. A hardwood lid keeps everything secured inside. 8. 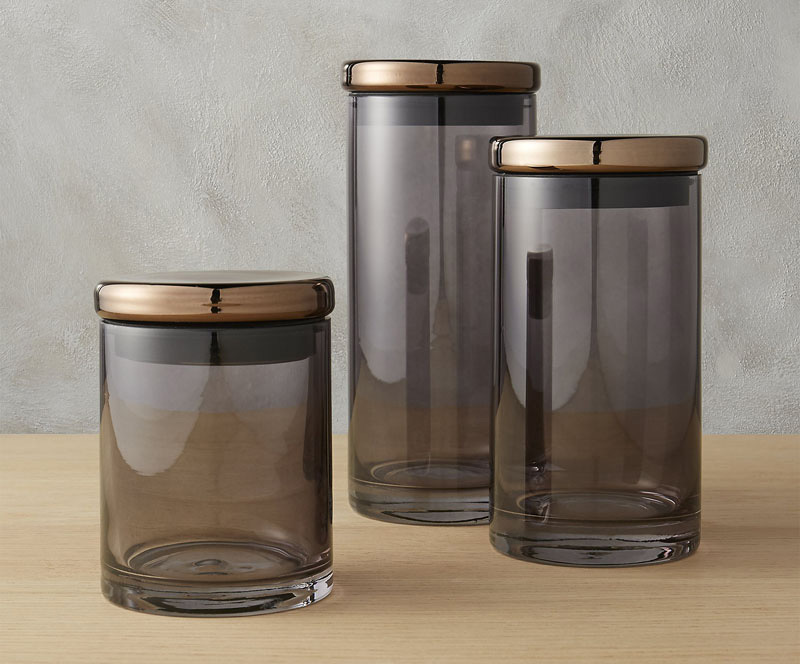 Chic in design, these grey glass canisters reveal the contents inside while keeping them fresh with a copper lid. 9. 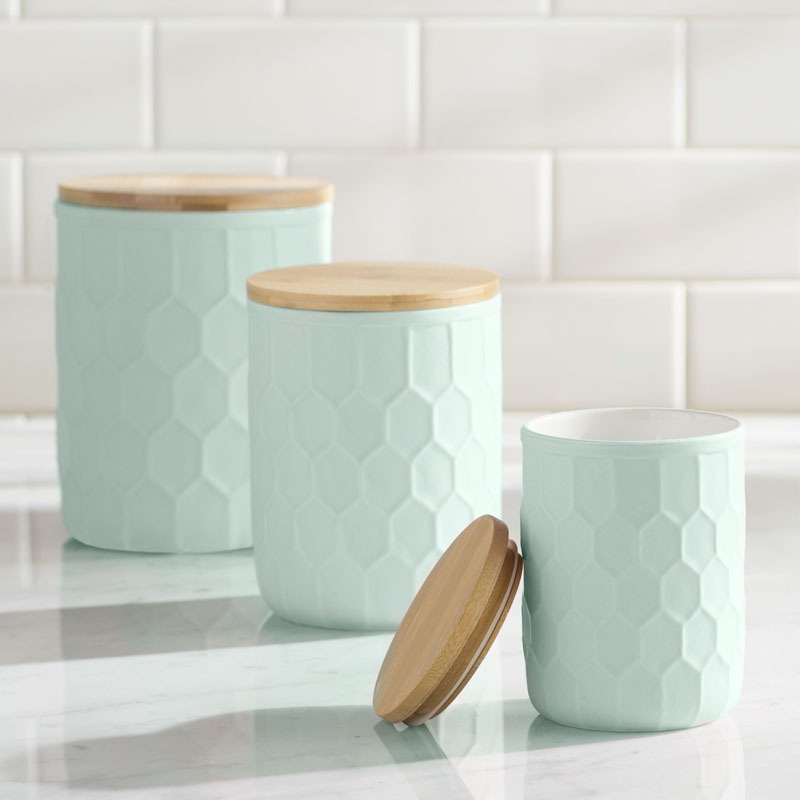 Topped with a bamboo lid to stow various goods, these mint colored canisters have a honeycomb inspired pattern making them easy to hold. Kitchen Canister Set by Mint Pantry. Available Through Wayfair. 10. 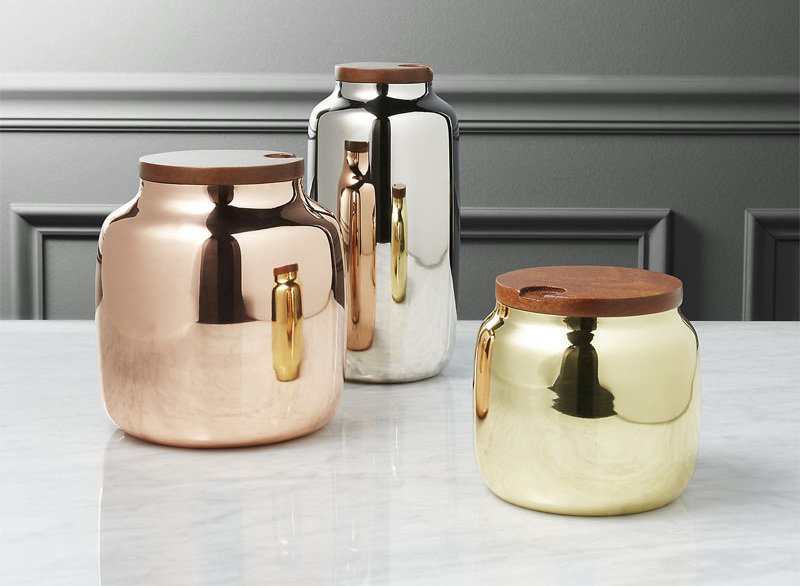 With gold, silver, and copper finishes, these stainless steel canisters are perfect for the modern kitchen. A simple, notched mango wood lid allows for easy access to the contents inside. 11. With a beautiful acacia wood lid to keep food fresh, these clear glass jars make it easy to see all of the delectable snacks inside. 12. 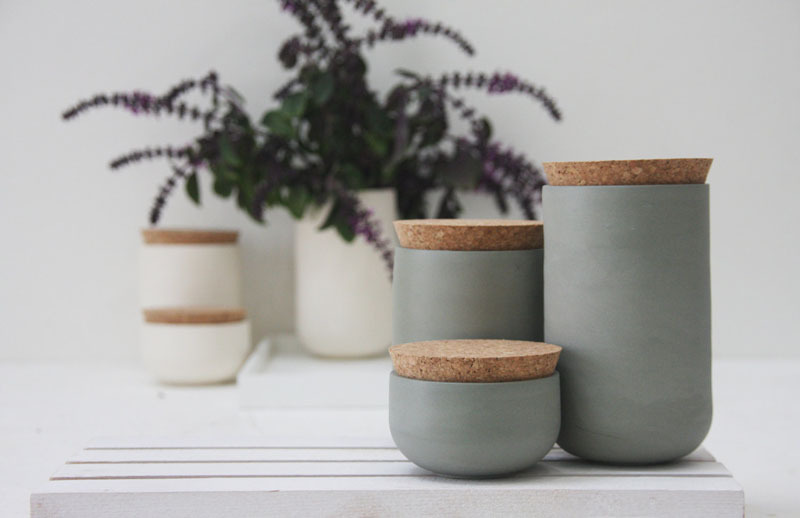 Unique in shape, these tapered stoneware canisters help keep items fresh with rubberwood lids. The neutral colors make them suitable for any modern kitchen. 13. 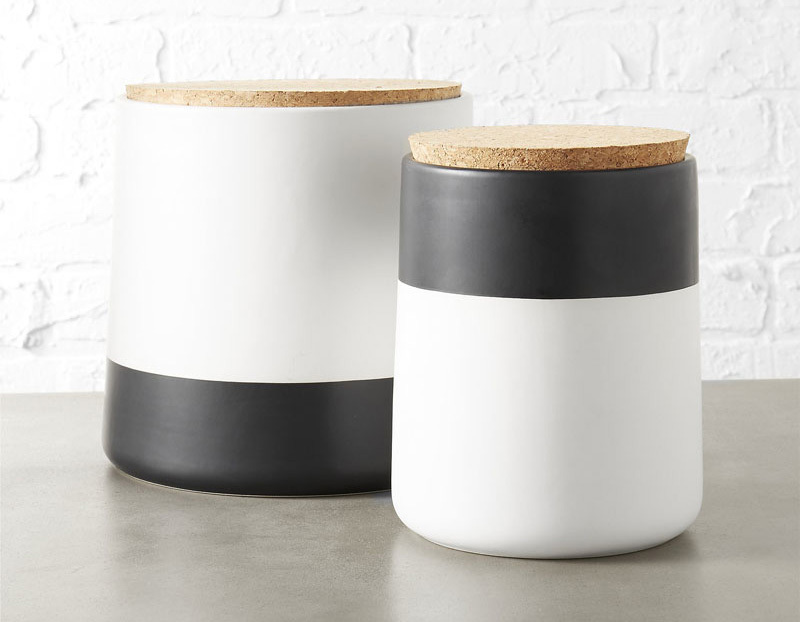 Bold in black and white, these dipped stoneware canisters are smooth with a matte finish, and can spice up any decor instantaneously.